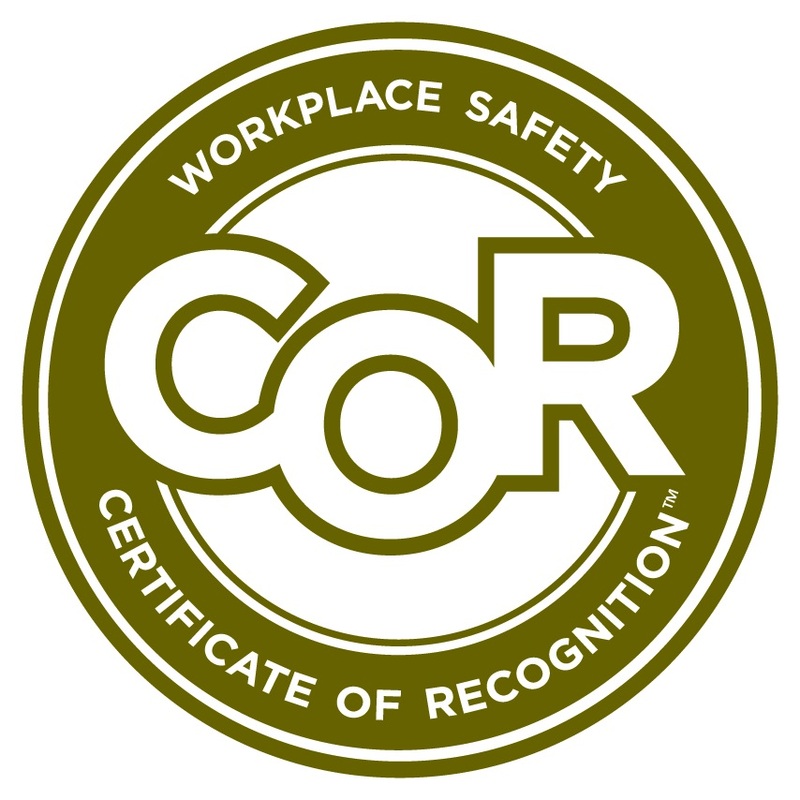 We are pleased to announce that our team in Alberta have been designated with a Certificate of Recognition (COR), which is awarded to employers who develop health and safety programs that meet established standards as set by the Occupational Health and Safety (OHS) department of Alberta. A COR shows that the employer’s health and safety management system has been evaluated by a certified auditor and meets provincial standards. 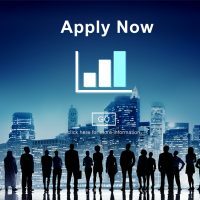 To get a COR, a business must first have a health and safety management system in place, and then have it successfully audited through a Certifying Partner. Congratulations to our team in Alberta. 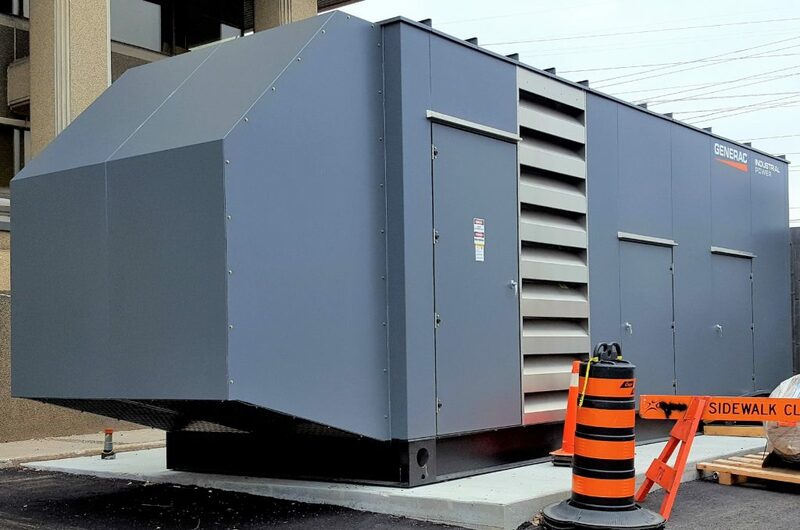 The first supply of Generac’s largest and most powerful gaseous generator yet, the Generac SG625, was recently completed in Ontario by the Total Power team. Total Power and Generac recently introduced Generac’s model SG625, a 625kW generator set, which is the first of Generac’s expansion into larger gaseous nodes. The 33.9L gaseous engine design leverages Generac’s engine knowledge and Motortech’s robust fuel and spark system expertise to give us a spark-ignited engine that is designed to provide the same level of power and longevity as its diesel counterparts. Unlike many large Industrial gas generators, this unit complies with CAN/CSA-C282 and can be used in Life-safety applications. The large output on NG fuel makes the unit ideal for demand-response applications in addition to the more traditional emergency standby applications. 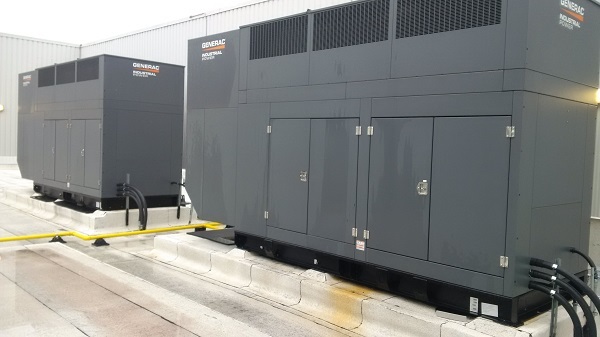 The 625kW unit is also available in a modular power systems (MPS) configuration which provides for paralleled solutions into multi-megawatt range. This unit is the 1st ever production model built with the newly released Power Zone generator controller. This “Smartphone Inspired” generator controller is a significant breakthrough for Generac and is the first industrial generator controller with built-in Wi-Fi, Bluetooth, LAN and Webserver connectivity, putting monitoring and control within easy reach of any mobile device or PC. This particular unit, pictured below, is a single-set configuration unit, and will provide standby power to one of our clients in Ontario. Generac’s new Natural Gas 625 kW – MG625 has been launched and is now available from Total Power, Canada’s largest industrial Generac distributor. Total Power and Generac announce the introduction of a new natural gas SG & MG625, designed for standby and demand response applications. The system integration gasifies a 33.9L engine block and will be the first product offering to introduce Generac’s new control panel platform, POWER ZONE®. 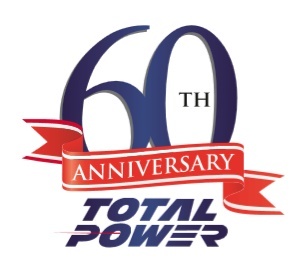 Total Power Limited is pleased to announce the recent acquisition of L.M. Generating Power Co. Ltd. of Mississauga. L.M. Generating Power Co. Ltd., run by its three owners and their dedicated team of employees, have become the trusted leaders in providing solutions for temporary power requirements across Ontario. L.M. Generating Power Co. Ltd offers a large fleet of quality rental generators and electrical distribution equipment including automatic transfer switches, load banks, transformers and portable power distribution equipment, all supported with dedicated 24hr service. 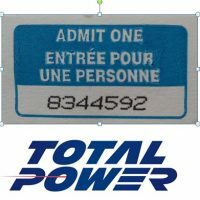 Total Power is a privately owned Canadian Distributor of Power Generation Solutions that has been in business since 1959. 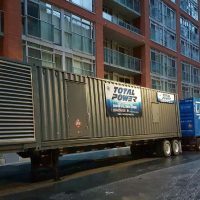 Operating from locations throughout British Columbia, Alberta and Ontario, Total Power provides a full complement of sales, applications and service support for standby, mobile and prime power generator systems ranging from 10kW to 2,000kW and beyond. 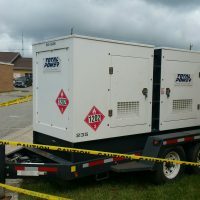 In Toronto our rental crew recently responded to this emergency rental need following a blown hydro vault at a commercial building. Working all night the crew supplied over 6000’ of cable, 200 cable mats, multiple breakers and 2 diesel generators to get this customers building up and running. Our team in Sudbury was recently called in to responded to an emergency outage to keep the Iroquois Falls Hospital up and running! Hopefully you will never need emergency service but rest assured Total Power’s emergency service is available 7 days a week, 24 hours a day. Total Power – Keeping you Powered Up! What Is Combined Heat and Power (CHP) ? Combined heat and power (CHP) is an efficient and clean approach to generating electric power and useful thermal energy from a single fuel source. A CHP unit recaptures the wasted energy from a generator’s hot exhaust and engine cooling systems and re-purposes it into heat for industrial processes, hot water, space heating and even cooling and dehumidification. As a form of Distributed Generation (DG), CHP’s inherent high efficiency and elimination of transmission losses from a traditional central power plant results in reduced primary energy use and lower greenhouse gas (GHG) emissions. Thanks to the effective utilization of “waste heat” through the combined production of heat and power, up to an additional 40% of the energy contained in the fuel is saved, compared to the separate production of heat and power.